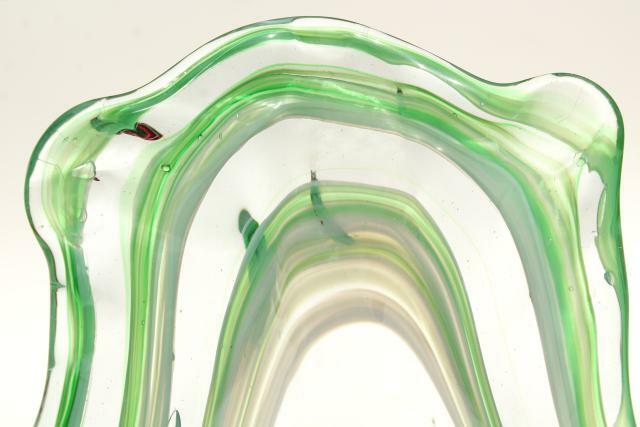 60s or 70s vintage murano style hand blown glass vase, not marked or signed that we could see. 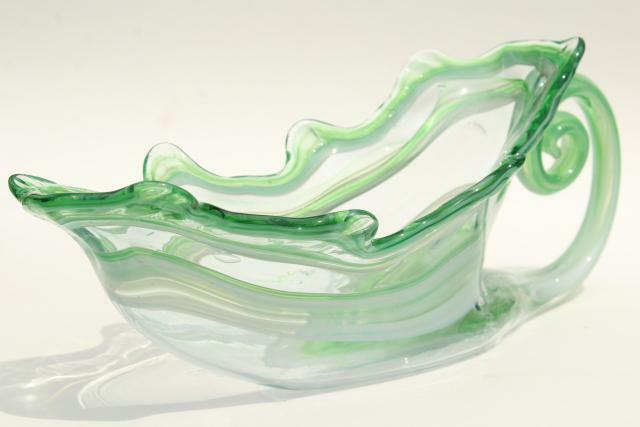 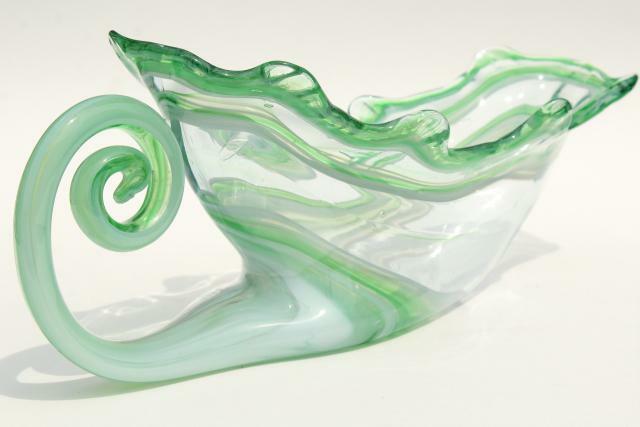 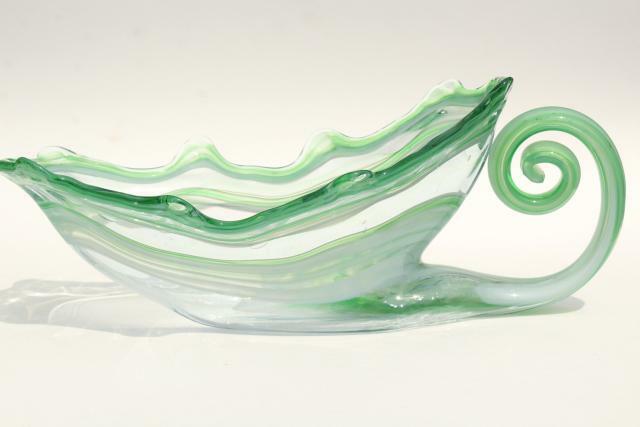 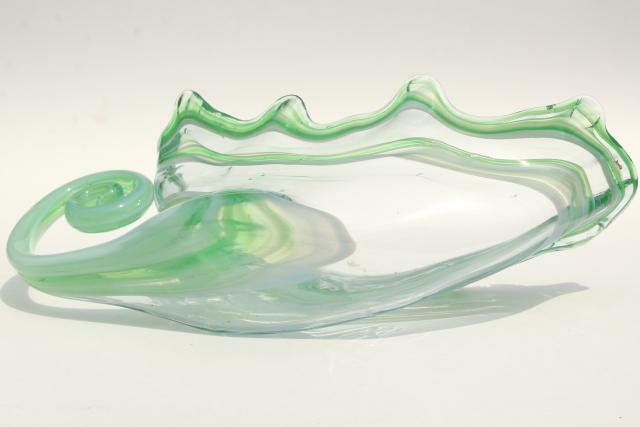 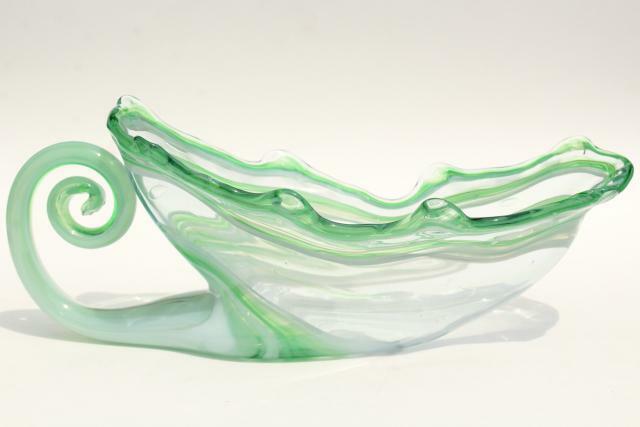 This looks sort of like those hand blown glass swan bowls, but with a cornucopia shape! 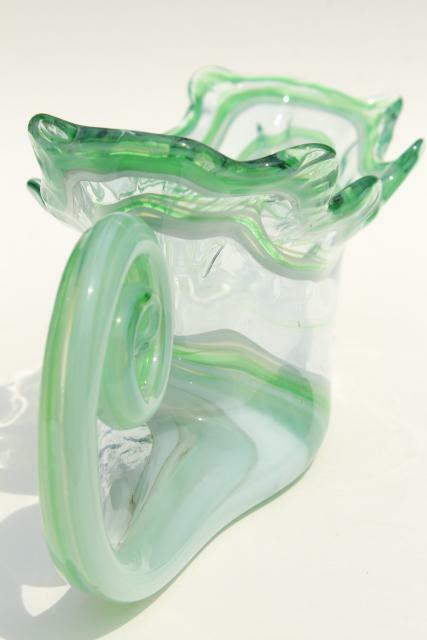 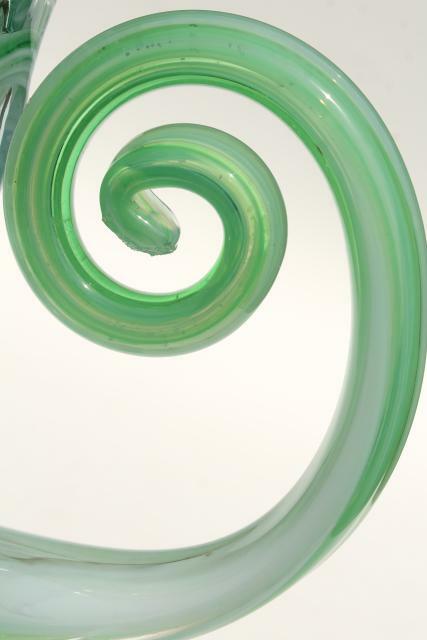 It measures about 14" long end to end, green and white marbled swirl glass. 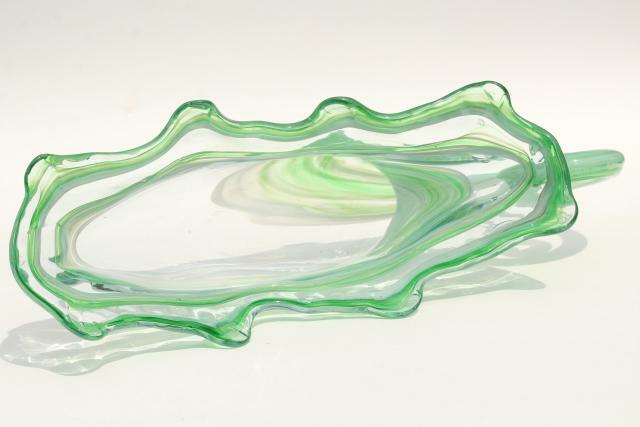 It's in very nice condition without chips or cracks.